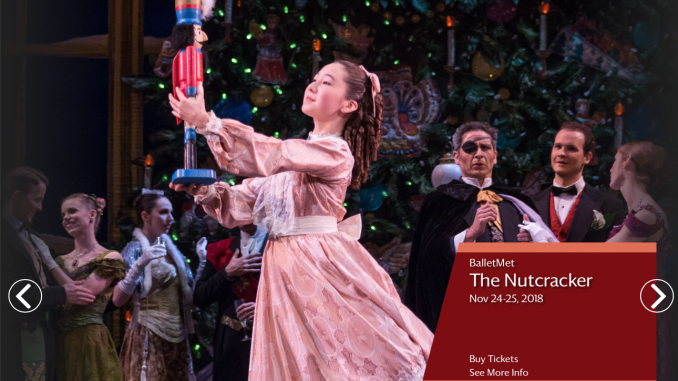 DETROIT – Michigan Opera Theatre will present Columbus’s BalletMet at the Detroit Opera House Nov. 24-25 for three performances of “The Nutcracker”. The company is making its seventh visit to the Opera House and will bring its popular, traditional production of the Tchaikovsky ballet. The production will feature Company member and Metro Detroit native Sophie Miklosovic, as well as more than 60 local children dancers. It will also include a toy drive in partnership with COTS (Coalition for Temporary Shelter) as part of the event’s annual holiday activities. The ballet tells the story of the young Clara and her beloved Nutcracker-turned-prince as they journey together for a magical evening on Christmas Eve to The Land of Sweets. It features Victorian costumes, dazzling sets and more than 122 characters on stage. It is performed with local choruses as well as the live Michigan Opera Theatre Orchestra, conducted by Peter Stafford Wilson. Miklosovic, originally from Shelby Township, is the youngest dancer at BalletMet and joined the company last year at age 17. Prior to becoming a professional ballet dancer, she completed part of her training at Spotlight Dance Works in Chesterfield and at Valentina’s Ballet in Clawson, both in Macomb County. MOT’s toy drive, in partnership with COTS, will serve the approximately 100 local families the organization is supporting this holiday season through its Family-Only Emergency Shelter. In addition to providing temporary housing, the shelter offers food, clothing and other basic needs for families experiencing homelessness. Patrons are encouraged to bring an unwrapped gift to any of the performances of the “The Nutcracker” with toys for children ages 2-12 years old. COTS CEO Cheryl P. Johnson said the goal is to collect 300 gifts for children this year. Customized holiday ornaments will also be available in the lobby for purchase. Activities will be available beginning 90 minutes before the performance. A free ballet talk begins one hour prior to each performance. BalletMet will also give a master class on Saturday, Nov. 24 from 11 a.m. – 12:30 p.m. to ballet students ages 10-15. Class is free with a ticket to “The Nutcracker” or $25 without. Pre-registration is required. More information is available at http://www.michiganopera.org/learning/dance-education/. The 2018-19 dance season is made possible by the Lear Corporation. This presentation is supported by the Arts Midwest Touring Fund, a program of Arts Midwest that is funded by the National Endowment for the Arts, with additional contributions from Art Works and the Michigan Council for Arts and Cultural Affairs. Ticket prices range from $29 to $110. Tickets may be purchased online at www.MichiganOpera.org, by calling (313) 237-7464 or in person at the Detroit Opera House (1526 Broadway, Detroit). For more information visit https://michiganopera.org/events/the-nutcracker-2018/. Saturday, Nov. 24, 2:30 p.m. & 7:30 p.m.
Sunday, Nov. 25, 2:30 p.m.
Michigan Opera Theatre, one of the nation’s most vibrant nonprofit arts organizations, is committed to presenting opera and dance of the highest artistic caliber. 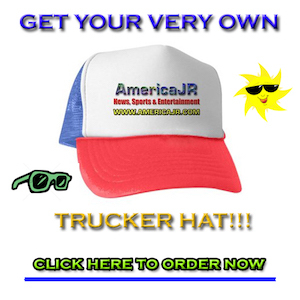 Founded in 1971 by Dr. David DiChiera, the company’s mission is to serve as a major cultural resource to the state of Michigan and the city of Detroit. The organization is led by President and CEO Wayne S. Brown, Principal Conductor Stephen Lord and Chairman of the Board Rick Williams. Visit the website at www.michiganopera.org. Renowned for its versatility and innovative repertory, BalletMet ranks among the nation’s largest dance companies. Since its inception in 1978, BalletMet has made the commission and performance of new works a core organizational priority, with more than 150 World Premieres and hundreds of Company Premieres performed throughout its history. BalletMet stages 60 to 70 performances each year at home and on tour. In the past, the company has toured 28 U.S. states and internationally to Russia, Poland, Egypt, Spain and Canada. BalletMet also developed DanceReach, a series of educational and outreach programs serving nearly 30,000 people annually. The DanceReach program offers up to 60 scholarships each year to talented youth, many from minority and under-served groups, who could not otherwise participate. Founded in 1982, COTS is a private, non-profit organization that provides emergency shelter, supportive housing programs, and comprehensive support services for homeless families and the at-risk population. COTS mission is to alleviate homelessness by providing an array of services which enable people to achieve self-sufficiency and obtain quality affordable housing. Through the Passport to Self-Sufficiency™, COTS assists families in reaching their housing, economic, health, education and career goals through coaching, mentorship, and support as they strive to overcome homelessness and break the cycle of poverty for the next generation and beyond. COTS provides supportive housing and shelter for more than 1,200 people annually – nearly 60% of whom are children. COTS also exists to advocate for long-term solutions to the problem of homelessness.